Happy Fourth of July one and all! We celebrated by reading on the porch, relaxing, and going to our neighbors' house for a cookout in the afternoon. 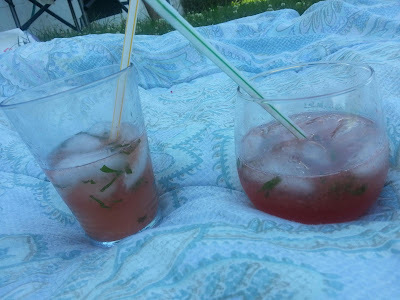 Elisa made watermelon mojitos! It was a lovely day. Too bad both Boyfriend and I have to work tomorrow. Boo.